While President Obama made the decision to cancel scheduled campaign appearances this week in light of the disaster that Hurricane Sandy has brought to New York City, New Jersey, and a number of other states, including the key battleground state of Ohio, Mitt Romney just couldn’t pull the plug. Instead of doing the respectful thing and canceling his campaign appearance on Tuesday, just after Sandy made landfall in New Jersey, the Republican presidential candidate decided to re-brand his “Victory Rally” and call it “Relief Rally” instead. 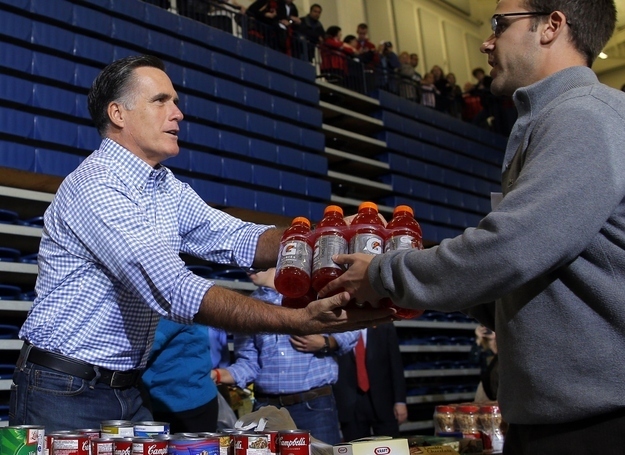 The campaign decided that it would stage a photo op of Romney accepting food donations from supporters and loading up a truck with food after the event. But campaign staffers soon began to worry about the last minute nature of the call for donations, and worried that people wouldn’t show up with anything. To ensure that Romney wasn’t left without any donations and an empty truck, BuzzFeed reports that the campaign went out the night before the event and spent $5,000 at a local Wal-Mart. They bought up supplies like granola bars, canned food, and diapers. These items were then used as props to put on display while they waited for the real donations to show up. For their part, the campaign says that it donated relief supplies, but would not confirm an amount. What makes it all even more ridiculous is the fact that the Red Cross didn’t even want the items that Romney’s campaign collected. They’d have been better served with a $5,000 donations. Of course that wouldn’t be as nice of a photo op as standing by a table overflowing with canned goods. After listening night after night about the current polls, I put the 2012 US Presidential Election, and key Senatorial races to the ‘Magic 8-Ball.’ I prewrote the questions, basically asking the 8-ball the same question for each race. I did not slight the answer to any one candidate’s election. I simply asked the question and recorded the 8-Ball’s response. 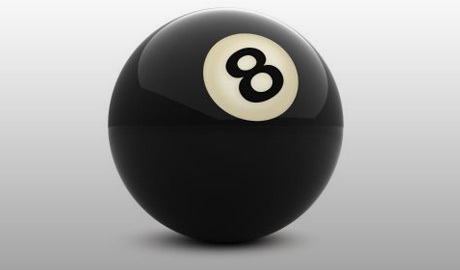 Per Wikipedia, the Magic 8 Ball is a hollow plastic sphere resembling an oversized, black and white 8-ball. Inside is a cylindrical reservoir containing a white, plastic, icosahedral die floating in alcohol with dissolved dark blue dye. Each of the 20 faces of the die has an affirmative, negative, or non-committal statement printed on it in raised letters. There is a transparent window on the bottom of the Magic 8 Ball through which these messages can be read. To use the ball, it must be held with the window initially facing down. After “asking the ball” a yes-no question, the user then turns the ball so that the window faces up, setting in motion the liquid and die inside. When the die floats to the top and one of its faces is pressed against the window, the raised letters displace the blue liquid to reveal the message as white letters on a blue background. Although many users shake the ball before turning it upright, the instructions warn against doing so because it can lead to bubbles. Tebowing is a neologism for the act of kneeling on one knee in prayer with one’s head resting on one’s fist. It is derived from Tebow’s propensity for kneeling and praying. In short, he patented that puppy. All of us need to give Tebow his due. He wrote a national bestselling book, has own Tim Tebow page on Amazon and his foundation is building a hospital in the Philippines. In lieu of that, all this acknowledgement comes from a quarterback whose last year in Denver accumulated a whopping 29.91% ‘Quarterback Rating’ – meaning he sucked. And this year’s numbers remain unspectacular as well, thrown only three (3) passes thus far this year, with one sack. Believe it or not, I started this letter almost ten days ago. And since then, its contents, language and message changed quite considerably. As I look through the years I see someone who’s been blessed, tossed and lost. At one time or another, we’ve all experienced extremely difficult times and trials. 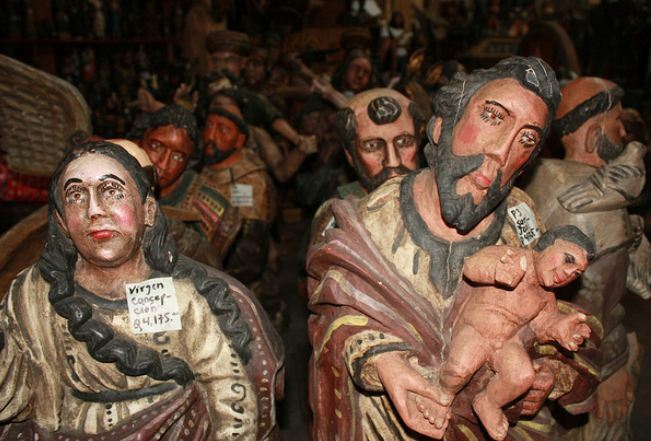 You’ve been blessed, sailed the world, visited twenty-six different countries and are considered a survivor, not because of know-how and ingenuity, but because of grace and love. All in all, being successful has little to with your portfolio or the size of one’s home. Success is largely dependent upon learning to live by aligning your personal beliefs with professional beliefs. Thus, I leave you with three major lessons from which to learn. Lesson #1: If you find something or someone worth the fight, fight hard. Don’t end this life from a position of fear. Don’t allow failure to defeat you. Don’t live in regrets. Live knowing you gave it your all; that you put yourself on the line more than being afraid. Do not allow fear to conquer you. The rich man did everything right. He lived the ‘Ten Commandments.’ Still, he could not sacrifice the one thing that separated him from true love. Imagine how difficult that must be – to give of yourself completely for another? You and your true love lived this lesson. While loving each other deeply, each of you could not give unto each other completely. Some would say our inability to completely surrender to other was ordained, as if God smacked us for our love: between a then married man and an unmarried woman. Rather than finding our strength in God, each of you gave fear … the fear of others, rumors, innuendo, snickers. I wonder of the beauty of our life if we lived in unison, conquering our fear and giving up that one thing we held onto. Lesson #2: Align yourself to the vision you want to live. Assess yourself. Take an inventory of your life. What’s the vision? Are you living that vision? Do you live in fear or in love? Do you remain true to your values. Find the one thing you’re committed to and align that commitment to your works. Stay well and live life. What happens most is what a participant in one of the poet David Whyte’s seminars poignantly described: “Ten years ago I turned my head for a moment and it became my life.” This woman understood she had not taken advantage of the fact that life is emergent. One step leads to the next. An authentic life is like going up a darkened staircase. The third step is visible only after we step from the first to the second step. When we insist on being able to see the third step from the first step, we become paralyzed and fossilized. Keep your vision aligned and you will rarely walk darkened stairs. Lesson #3: It’s never too late to live a constructive life. No matter how old you are, it’s never too late to live a constructive life. I recently had the opportunity to see “The Curious Case of Benjamin Button.” I, who am nearing life’s end, was uplifted by a strong, courageous voice exclaiming it’s never too late to change your life. “It’s never too late, or in my case too early, to be whoever you want to be. There are many who walked a similar path before me … but few, if any, who walked my path. But nothing of who I am today would have occurred without you. To this day, each of you has had a wonderfully profound hand in my success. Yes, we parted under duress; as if life’s almighty vice had clamped down upon our individual carbon atoms, endlessly crushed, formed and solidified by the often furious times swirling around us. 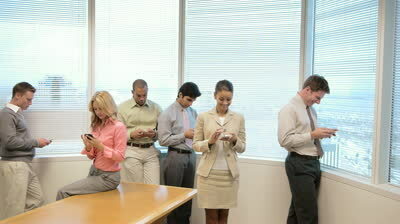 In one way or another, I managed to create a covalent network with each of you. Tim, you were my greatest mentor, a person whose thought and caree as both a boss and friend was greatly appreciated. Your insight to management and personnel was inspiring as well as holistic. Like mighty warriors, we rallied our teams, inspired each other to greater good and the fought fights worth the fight. Katherine, you were a good friend. One who’d listen, laugh and learn. I have not forgotten – probably never shall forget your impressive beauty and honesty. Both Tim and I hoped for a happy ending of our employer. True to form, some days were tremendously long as we rallied to fight for a better educational system. But in the end I failed. And I failed you. But God knows best and now even these three years past, I am overjoyed to learn you completed your Doctorate and proudly manage a department of your own. You provide inestimable service to students near to you. And to Ms. K., no written words can adequately express my deep, deep love. Both Christ and I know how great you are. If there is any one person who taught me about faith it would be you. Over the past three years, your spirit and wisdom has taught me to be continually in communion. Thus, through you, I discovered a call to the community. Certainly no one could possibly state my discernment process has been easy, but you acknowledged I am part of a greater family. And as I shredded my past, I move from communion to ministry. Lastly, to the Los Angeles Doctors Hospital in East Los Angeles. If the ‘war on poverty’ has several battle lines, then one can be found right here, at the Los Angeles Doctors Hospital in East Los Angeles. Far away from the modern state of the art technology of elite hospitals, there lay an older bed hospital, encased in an unkempt exterior whose interior walls appear to have been painted approximately nine hundred times. Walking through these doors, visitors are greeted first by the stagnant musty air, rickety old stained seating, a fish tank with no fish, and magazines from a year or so prior. While these professionals mostly likely vote, each seemingly has forgone the politics, the money and talking points of daily sooth-Sayers from Fox, MSNBC, CNN and others. The decisions made by state, federal and county politicians hold little weight here. In truth, the Los Angeles Doctors Hospital of East Los Angeles is a blend of contrasts, to many they are an outpost on the fringe of humanity and an oasis to the surrounding community. The owners and staff have chosen to rise above the circumstances. They do not wallow in their lacking, they do not whine. Regardless of the obstacle, they strive toward what they can do. And what they can do is amazing. While it cannot be argued that Christ has overcome death, these professionals are Christ-like. They cheat death daily and celebrate life in every moment. These people are the true good ‘Samaritans’. They love what they do and make me ashamed of my owe personal failings. I am totally in awe. Still, I know my past with each of you has been difficult. And certainly, while I can hardly be forgiven for the person I was, I can only request your prayers. We lived great highs and tremendous lows. We suffered in bitter agony and extreme joy. While I know many do not believe in the divine, I continually work earnestly in the light given unto us, that one day, we will once again gather near, raise our glasses and salud. I leaned against the fourth floor window, my breath rhythmically drawing and echoing against the cold damp pane. Snowflakes from winter’s last gasp adorned the scarf of warmth and the remnants of footprints hurried away. No kiss, no longing touch, no long emotional grasp. Neither mustered the courage of ancient crusaders to reverse the deathly hallow of that which God so eloquently filled. In truth, the path of one’s footprints reveals the soul’s weight. And there in the vestibule’s diminishing light, you stepped away from my world. Years later, my soul remains scorched in the reciprocal misery needlessly suffered. Halted by time, halted in the limbo of love, I’m emotionally destitute; caught between god and the golden calf, sandwiched between heaven and hell. And for nary a day have I been free. My actions gained nothing more, but am every bit less. An honorable man would have channeled a forgotten warrior, pounded the breastplate of battle and summoned love’s eternal flame. He would have fought ego to the death. You were the fight worth fighting. Only in the solitude of Obstruction Pass did I find truth: you were the divine, my only divine. Yes Ms. K., you were the ordinal perfection of my life. 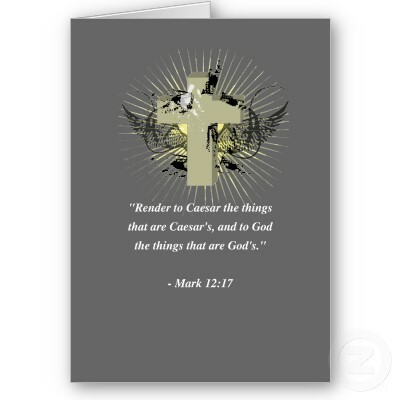 Had I only lay upon my sword, garnered God’s truth and beseeched thee for forgiveness. But alas, none did I. You deserved someone who can love you right where you are. You deserve to be where love builds upon another versus burning from the raging fire within. Yes we loved, yes our embers flared and yes the flames of passion danced, but did our souls ever agree? Were we both able to share and nurture in love’s boldness, its courage and compassion? In the depth of night, the wee hours of darkness where the heart beats mercilessly echoes and the soul longs, did you feel the ache? Does the soul yearn? Does it push or pull? Do you quest while I crave? Maybe we were predestined: two wayfaring souls pulled like forcible tides into one another, momentarily spared of the crash by the laws of love, the law of Christ. Truly our transcendence meant little to the surrounding world, remaining anonymous among men. But our internal volcanoes blasted past primordial domes and we soothed one another in quenching love. Still, years have passed, my love smolders. I lay waste by obscurity, with a heartache none should bear. I am splinted, a broken yoke without its whole. Pain runs deep and my harbor remains vastly silent. Darkness snuffs light and no longer do I bathe in grace. I wish the years away, to be a child in thine arms, ever amazed at heaven’s splendor. Here in the dessert. I thirst. I hunger. I pray, lying prostrate to the almighty, hosts of hosts. I seek His guidance, the cryptex’s password, to your love, to grace and promise to never recklessly misplace your love. I love thee Ms. K. Will you forgive? Can I come home? To my greatest love, whose life inspires and comforts me alaways. In all the years I have been alive, I’ve never been so immersed in living. The very thought of you has kept me alive for nearly three years. Though often wandering alone; and though I swim in a school of humanity, I remain forever yours, in your depthless love and life bearing water. You reside in the bosom of my soul, where I return often, dwell and accept the nectar of thy lips. Some admittedly exclaim my foolishness – seeking that which cannot recompense. Still under the moon’s luminosity, I wander the damp sand of Cascade Lake. Here in the solitude, we spiritually walk, hoping always the dusk or early morning dew does not erase this old man’s memory of all you’ve brought. Every breath bears my soul. My inhale is thy exhale and thy body is sweet and fulfilling. Thy kiss, thy caress; thy heart is wealth more than Solomon. Memory lapses, for standing before God I utter nothing more than you. Is it too much to ask, to nibble upon your lips and feast in thy sanctuary, to gorge on the scent of your body and crave consumption by love’s eternal flame? Ah … dear, you’re my passion, my poetry, the very words of life. And to lie gently, in morning rain, sipping upon thy skin is eternal, quenching and whole before God. My love … I remain my true and pray we will forever be connected; in stars, in heaven and in time forevermore. Come my love … Tarry an hour. Tarry a lifetime. Lay with me. 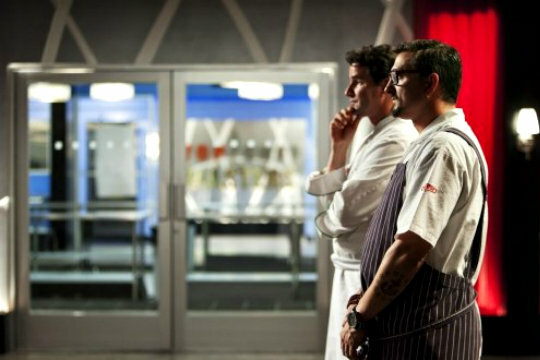 Several weeks ago, I watched the final challenge of Top Chef Masters. In essence, the challenge was for each chef to bare their depth of their own personal humanity (i.e., bear their sole) on a plate, that is each Chef had to write four letters and translate them into a four-course meal. The first course was a love letter; second course, an apology letter; third course, a thank-you letter, and fourth course, a letter to themselves. It was a tremendous challenge, highly emotional. Being that I am past the half-way mark of a one year blog myself, am in a medical situation myself and having read the personal tribute Actress Lynn Chen’s wrote of her father on The Actor’s Diet, I felt propelled by the Top Chef Masters episode … but in a new way. My idea is this, what if we all literally wrote the same four letters? What if we sat down and write something extremely deep, bearing our soul for all? Could we do it? Would we do it? Think about it, when was the last time any one of us wrote a letter? Emails, text messages and voice overs don’t count. 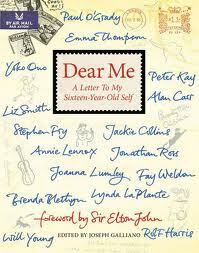 This is a real letter, one made by hand, written from deep thought, each word, with meaning and heart? Unless one has been in some interpersonal skills class, I am willing to bet most have never done that before. In truth, I have no clue where I am going with this. But more so, for some unknown reason, I feel compelled to do this. Thus, I am giving my permission to bear my soul to all the world and see what happens. I guess hope that whether or your personal letters are taken somewhere, to someone or mailed to yourself, is simply not for me to know. But even though I will post these four letters online, I will seal each in an envelope for mailing or reading at some later date. When this blog ends, someone, or even me can rediscover my true feelings somewhere down the road. I will try for my first letter tomorrow: Love. David Schoenfield authored an interesting article on last night’s Cardinals and Atlanta Braves Game. “Did I say bad call? Atrocious? Abominable? Disgraceful? How do you properly sum up what happened in the bottom of the eighth inning when umpire Sam Holbrook raised his right arm and all hell broke loose? If you watched the game, you know what happened: The Braves trailed the Cardinals 6-3 and had runners on first and second when Andrelton Simmons popped out to shallow left field. Shortstop Pete Kozma drifted about 70 feet beyond the infield dirt … and suddenly peeled off, the ball plunking harmlessly onto the grass in front of Matt Holliday. The Braves had the bases loaded and the Ted was rocking with noise. I also remember June of 2010, when Armando Galarraga of the Tigers lost his bid for a perfect game with two outs in the ninth inning on a call that first base umpire Jim Joyce later admitted he blew. First baseman Miguel Cabrera cleanly fielded Jason Donald’s grounder to his right and made an accurate throw to Galarraga covering the bag. The ball was there in time but Joyce signaled the runner safe. The crux of my thoughts comes from the fact Major League Baseball denied the Atlanta Braves’ protest of a controversial infield fly call in last Friday’s wild-card playoff because it was deemed a judgment call and therefore not subject to appeal. Basically almost all of the above incidents were appealed to a higher authority. In a true lesson for all us, it’s what I call the ‘Too Fricking Bad’ (TFB) rule. In a nutshell, if we understand the causes of sufferings (envy, hate, covetousness, etc.,) we can rectify it. The answer to suffering is ‘Unconditional Love.’ Most people who create great errors understand they made personal choices which caused themselves pain. Ultimately, they really want to be restored to love happiness. In the case of the Braves, yeah ok … Umpire Sam Holbrook blew the call. 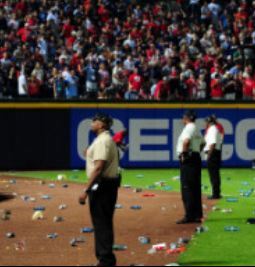 But the Braves did not lose because Mr. Holbrook blew the call. They lost because they played a lousy game. The fact that they played a lousy game should not be overridden by a higher authority. We, in our lives, should not expect the same. Living this life means suffering. So rather than praying to our higher authority for any and everything to be overturned, we should pray for guidance and unconditional love. It is through unconditional love that we become more humane and really find the true value of every religion.